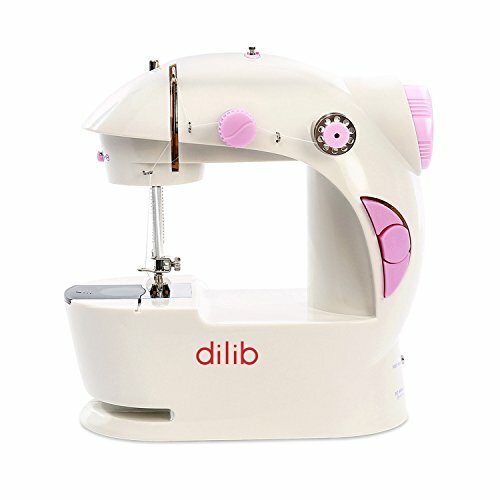 dilib Mini Professional Portable Electric Sewing Machine is currently selling at $23.99, approximately $0.56 lower than average, giving a potential saving of $2.00 right now. With a lowest price of $23.99 and an average of $24.55 it is selling on the low end of its usual range. Price volatility is 0.3% (meaning it does not change often), so the price should stay low for a while. Right now this product is a recommended 'good deal'. The current deal is also the best price on this item over the last month. 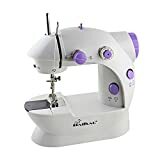 Compare the current price, savings (in dollars & percent) and Buy Ratings for the top Sewing Machines that are closely related to dilib Mini Professional Portable Electric Sewing Machine. Here is how dilib Mini Professional Portable Electric Sewing Machine compares with other leading Sewing Machines. This Mini Sewing Machine is a Basic Sewing Machine, with its easy-to-use Feature, Suitable for all Sewing Machine Users. This Mini Sewing Machine Comes in Handy for anything from Silk to Denim. 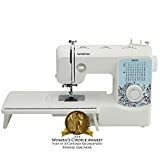 The Machine's user-friendly Design Offers a Top Drop-in Bobbin for Easy Threading, Automatic Thread Rewind, a simple on/off Control Button, and an over-sized Button for Setting the Speed from Low to High. Choose either the Hand Switch or Foot Pedal to Start. The Unit Makes a Nice Gift for any Craft Enthusiast, Novice or on-the-go Sewer, or College Student with an Eye for Fashion. This machine is able to sew many household materials, like denim, shirt, curtain, canvas, as long as it is not over-soft, or over-thin, or over thick. You are suggested to change the needle if you are going to sew those materials. Mini sewing machine are commonly used with the needle size of 75/11 , 80/12, 90/14,100/16, the smal FeaturesLatest Upgraded Version: The latest 201 version has added useful new features and used new materials, more powerful, more stable and durable. With lighting lamp, thread cutter, foot pedal, all the control switch have been designed in one button(light, speed, power)"U" Slotted Design: Slot on the bottom ,perfect for sewing sleeves and legs. More flexible for DIY patchwork craft. Built-in sewing light and thread cutter. The light in the sewing machine head can illuminate your sewing with optimum light provision. The built-in cutter makes machine easy to cut threads.Double Threads and Two Speed Control: Sewing with Needle thread and Bottom thread, Follow the classic straight line sewing, the stitches are more flat, more firm, not open, and uninterrupted. High/low speed regulator are available for selection, more power and more safety.Mini Size and Lightweight : This mini sewing machine is exceptionally conservative, light weight and compact.Perfect for home, office going individuals, understudies, specialty for beginners and children (with supervision).